« Insulated Lunch Bags-just like the Pizza Guy delivers in! Gong! What an awesome gift! What a great idea! Below are a couple of gongs. They come in many different sizes, styles and sounds. Personalize them with your logo. Realtors, when you have sold a home, put an ancient Chinese message on them wishing them luck and more they will never forget you. Mortgage Bankers, sales people, staffing companies – when you make a sale let everyone know your success. 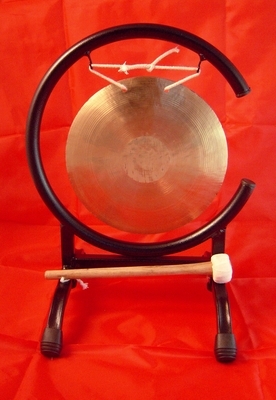 The Ma Gong is a delicate flower of a god in the Chinese Gong Pantheon. Small and filled with vibrant perspicacious verve, it can awaken you from a slumber, it can sooth the semi-savage beast, and under duress, it can work as a coaster for an invasive Viking when he storms your TV room. In the Chinese language, the word “ma” can be used to help form a question, or in combination like ma fei, which means morphine. This is a good base word, for you ask a question when you need an answer to calm your mind, and you use morphine when you are in extreme pain, and you need to calm your body. A great sound for a great gong! 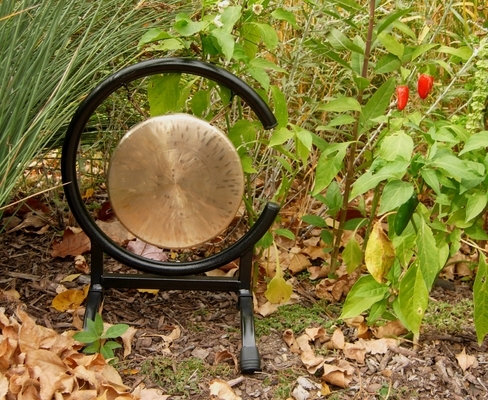 The friend at first may be confused by a gift of love, that can be measured, like this gong. They usually say that the size of the gift does not matter, but then once they get it in their hands and play it, get to know it for a while, they realize that size does matter, and they would rather have something like this hanging around waiting for them to play with it, than a fancy diamond ring. Rings are so tiny and really diamonds as wealth were created by the advertising industry in the early 20th century. They are blood and exploitation. Many friends might think 8 inches (or 20 cm) is small for a gift of love, that they would only be happy with a new car, or a trip to a tropical island, or a gong at least 25 cm, but the Malletheads have seen up close and personal that a gift of love that is 8 inches like this gong will often make the friend you give it to scream and shout with exuberant joy after only a few minutes. Of course not every friend gets that demonstrative. Some friends get a gift like this and just squeak with joy, others can fool you with a throaty moan that you might confuse with displeasure. But that is just the way they express approval.